How the game succeeds where the latest film fails. Warning! Spoilers ahead for Alien: Covenant. 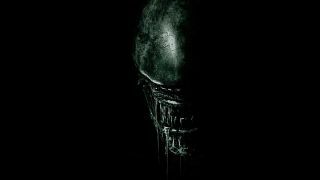 Since the release of Alien: Covenant I’ve seen a few people ranking the famously inconsistent series from best to worst. Resurrection reliably festers at the bottom of most people’s lists, and for many Covenant isn’t that far off. But I also noticed a lot of people including Alien: Isolation in their list, and often rubbing shoulders with the acclaimed first two films. This is a testament to the quality and authenticity of the game, but also suggests that people are getting something out of it that the latest film failed to provide. Covenant was marketed and described in preview coverage as a return to Alien’s horror roots. But anyone expecting a slasher flick in space with none of the earnest philosophical melodrama that weighed Prometheus down will have been disappointed. Covenant is Prometheus 2: Prometheus Harder, book-ended by a retread of the original film minus any the mystery or suspense. People complained about the absence of facehuggers and xenomorphs in Prometheus, and this is the result. Proof that you should never listen to people. I have a lot of issues with Alien: Covenant. I had (perhaps blinkered) faith in Ridley Scott, convinced he had one more great Alien movie in him, but I left the cinema feeling much the same as I did when I emerged blinking and bewildered from Prometheus in 2012. But one of its biggest problems is showing you far too much of the alien. The original film hid the creature in the shadows, giving you only brief, close-up glimpses of it. This was because Bolaji Badejo’s rubber suit would have looked unconvincing under the glare of a bright light—a limitation that ultimately made the movie scarier. In Covenant, however, Scott had no such limitations. And thanks to the ‘magic’ of computer animation, the last quarter of the film is heaving with brightly-lit shots of the alien scuttling about. Not only does the CG feel weightless and unconvincing, but it turns the enigmatic creature that terrorised the crew of the Nostromo so effectively into just another movie monster. It simply isn’t scary anymore, and the frustrating thing is, Scott knew it. “Fans wanted to see more of the original monster,” he said in an interview. “I thought it was cooked, but I was wrong.” See what I mean about never listening to people? But the blame doesn’t lie with the xenomorph itself. It’s how it’s used. One of Isolation’s greatest strengths is that it understands that the creature is just as scary—and, arguably, sometimes scarier—when you can’t see it at all. Just hearing the distant thud of its footsteps or it clanging through a vent is enough to make your heart race. And it makes those rare moments when it finally does reveal itself, slithering out of the shadows, even more powerful. And I think this is at the core of why many consider the game to be a more effective, genuine Alien experience than anything in the last two films. Because it reminds us that the xenomorph still has the innate power to terrify. Not to mention the fact that there’s no ponderous, long-winded section in the middle of Isolation where one Working Joe teaches another how to play the flute. The scenes in the Engineer temple in Covenant are Scott at his most indulgent and pseudo-philosophical. It grinds the film to a halt and fills your head with tedious exposition. It answers questions that didn’t need to be answered, hammering the final rusty nails into the coffin of any beguiling mystery this series once had. Knowing David created the xenomorphs adds nothing and takes everything away from them. When the Nostromo lands on LV-426 and the crew discovers the derelict ship, the fear of the unknown is palpable. Giger’s ship is utterly alien and inscrutable, which makes the descent into its bio-mechanical depths simmer with suspense. The same scene is repeated in Covenant on the Engineer planet, but the near-identical shot of the crashed ship has no impact whatsoever. You immediately know that it must have once belonged to some blue guys, and that it’s probably filled with facehugger eggs or vials of black goo. On the other hand, Isolation keeps the mystery intact. It tells a small story about one character in one space station and is all the better for it. There’s a lot more to it than the first Alien, of course, with acres of backstory about Sevastopol to devour. But it’s still positively parochial compared to the bloated, sprawling mythology set up in Prometheus. The story is the weakest part of Isolation, but it’s really just an excuse to lock you in a confined space with an alien—and that’s all it needs to be. The really interesting stories in Isolation are the ones you create yourself when you’re evading and outsmarting the alien. Scott has more Alien sequels planned, and with each one I feel like it’ll sail deeper into the pack ice. When he made the first film he was a bold, untested young director with an uncompromising vision and a remarkable eye for detail. And I feel like that’s what the next film needs. An emerging talent who can come at it from a fresh, contemporary perspective and make it vital again. But until then, unless the next film really is a return to its horror roots, Isolation is the closest thing we have to that original masterpiece.